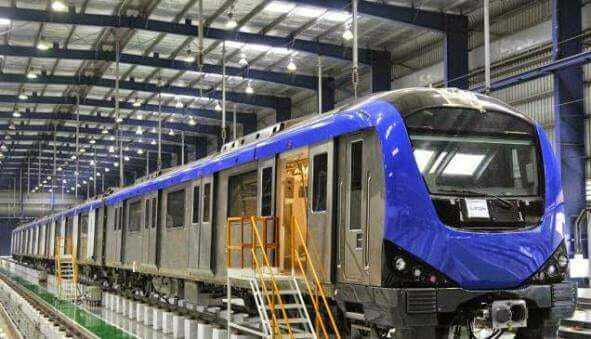 The final inspection for two underground stretches of the Chennai Metro Rail is underway by the Commissioner of Metro Rail Safety (CMRS). The stretches will be ready to be operational in two weeks after the CMRS approval, The Hindu reported a CMRL official as saying. The CMRS inspected the line between Shenoy Nagar and Central Metro on Monday. The plan is to complete the inspection of upline between Shenoy Nagar and Central Metro covering 5.62 km and downline between Central Metro and Nehru Park, about 2.5 km by Tuesday evening. On May 18 and 19, the 4.5-km stretch between Little Mount and AG-DMS will be inspected. The track parameters, tunnels, stations, calibration of trains and firefighting system will be inspected as part of this safety check.